Ari Benjamin Meyers, born 1972 in New York, lives and works in Berlin. In his work Meyers, who trained as a composer and conductor at The Juilliard School, Yale University, and Peabody Institute, explores structures and processes that redefine the performative, social, and ephemeral nature of music. He has composed numerous works for the stage among them three operas; his chamber opera Nico. Sphinx aus Eis was commissioned by the Semperoper Dresden. 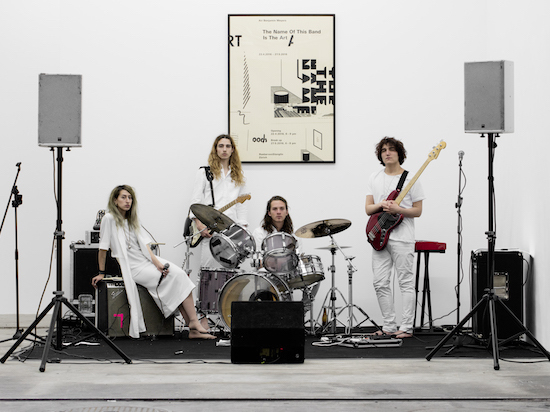 Past solo exhibitions and projects include Black Thoughts, Esther Schipper (2013); Chamber Music (Vestibule), Berlinische Galerie (2013-2014); Just in Time, Just in Sequence, This is Not Detroit Festival, Schauspielhaus Bochum (2014); The Verismo Project (Franz Hartwig, A Most Wanted Man) Kino International Berlin (2015); Beating Time, Martin-Gropius-Bau Berlin (2015); Memories of the Future, Museum of Modern Art Warsaw (2016); The Name of This Band is The Art, RaebervonStenglin Zurich (2016). Upcoming exhibitions include Hamburger Bahnhof, Berlin (2016); Trafo Center for Contemporary Art, Stettin (2016); Witte de With, Rotterdam (2017); Lenbachhaus, Munich (2017); Musée d’Art Contemporain de Montréal (2017). Meyers has worked and performed with various bands including The Residents, Einstürzende Neubauten, and Chicks on Speed. 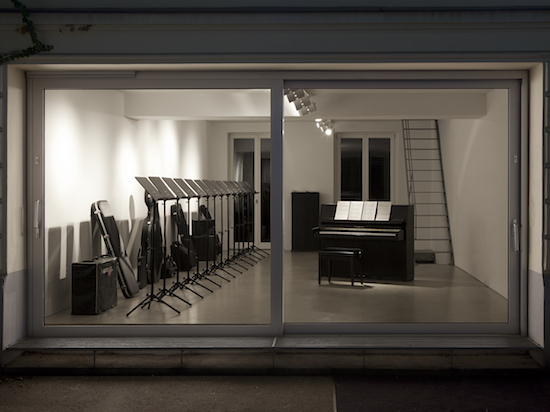 Selected collaborations include Ravel, Ravel, French Pavilion, 55th Venice Biennale (2013) with Anri Sala; Morphy, Fondation Louis Vuitton (2014); T.451, Tensta Konsthall (2012); K.62/K.85, Performa ’09, New York (2009) all with Dominique Gonzalez-Foerster. 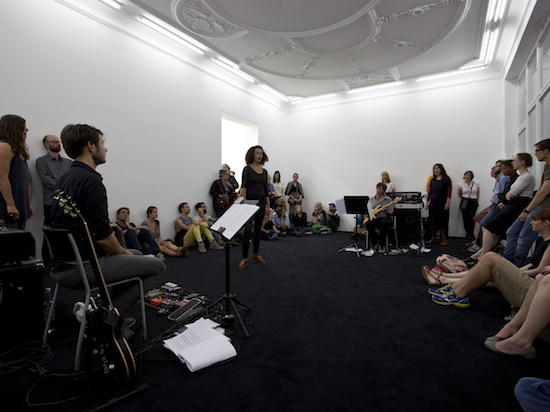 Collaborations with Tino Sehgal include Symphony X (installation version), KW Berlin and K21 Dusseldorf (2014) and This Variation, Documenta 13 Kassel (2012). 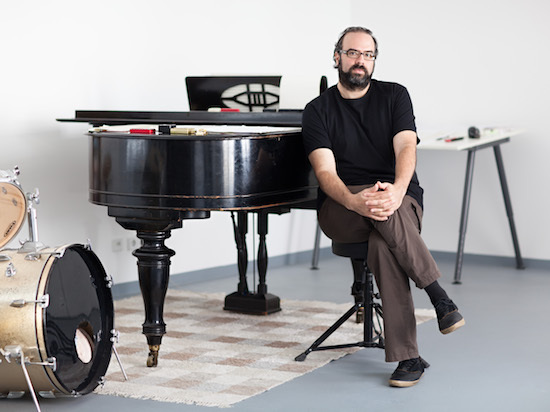 Meyers was Music Director for the staged group show Il Tempo del Postino curated by Hans Ulrich Obrist and Philippe Parreno (Manchester International Festival, 2007 and Art Basel, 2009). 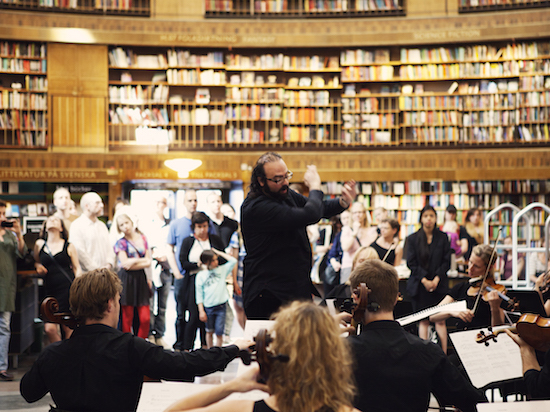 The book “Music on Display” chronicling his work and practice was released this year by the publisher Walther König.